Epoxy Powder Coatings has outstanding chemical, mechanical properties and anti-corrosion property, making them ideal for interior decorative or functional applications. Epoxy-Polyester (Hybrid) Powder Coatings, combining excellent mechanical properties from the epoxy resin with over bake resistance from the polyester resin, make an ideal choice for interior applications. Polyester Powder Coatings offer excellent weathering resistance,outstanding mechanical and chemical properties, are a great choice for exterior applications. TGIC and TGIC-Free are available. Polyurethane Powder Coatings provide outstanding weatherability and anti-UV property together with good chemical properties, are suitable for outdoor applications. 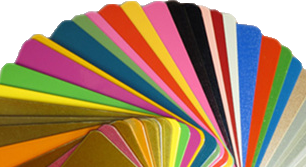 Acrylic Powder Coatings possess good resistance properties, durability, and smooth appearance,ideal for exterior applications, are frequently used for products with high quality standards.